Timena. Helena Bonham Carter on how her and Tim first began dating. 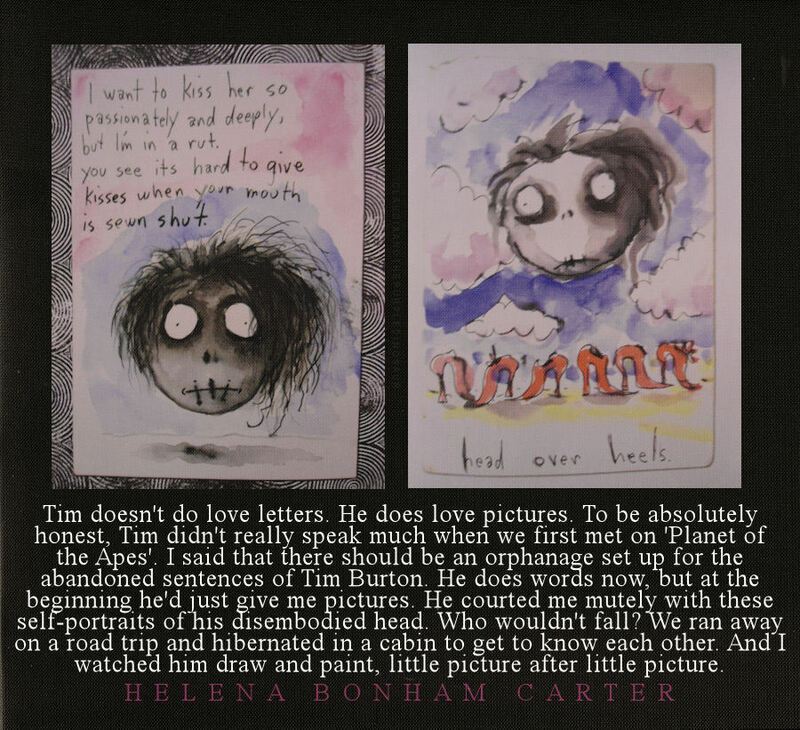 HD Wallpaper and background images in the tim burton club tagged: tim burton helena bonham carter art love quote. This tim burton fan art might contain jornal, papel, revista, tablóide, pano, tabloide, anime, banda desenhada, manga, desenhos animados, mangá, and quadrinhos.